Throughout the Celtic world, in Britain, Ireland and France the early Christian saints left a profound legacy to the people and culture of Northern Europe. 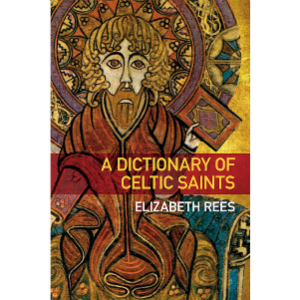 This is the first ever dictionary of Celtic saints to be fully illustrated with photographs of where each saint lived and worked, ranging from ruined monasteries to holy wells, and from caves to Roman and Celtic forts. The reader is therefore drawn into the beautiful world which these men and women inhabited, while also being able to trace the history and legend surrounding these early British Christians. Easy to use, with an Introduction and maps to pinpoint the sites described in the text, A Dictionary of Celtic Saints will appeal to anyone intrerested in history, landscape or spirituality. Based on sound scholarship, it will also be helpful to students of civilisatrion and culture. Elizabeth Rees is a Roman Catholic nun with a Masters degree from Oxford. She is one of Britain's leading authorities on the Celtic saints and is the auothor of many boojks on the early Christian world.